As a new twist, two joint winners were crowned in the finals of Miss Gabon 2014 held in Libreville on November 30. 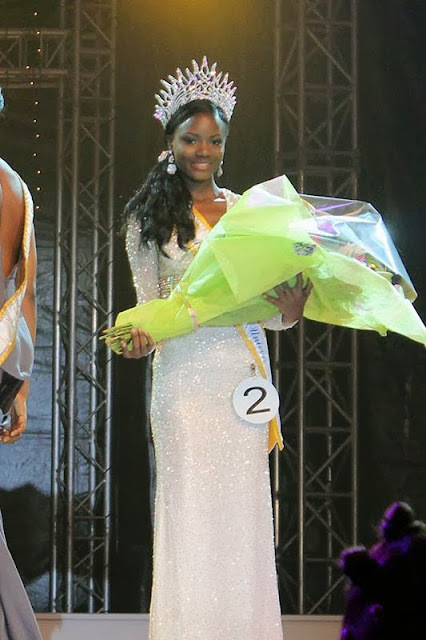 21-year old Maggaly Omrnellia Emmanuelle Nguema, from Libreville, was crowned Miss Gabon Universe 2014. The 1.73 m beauty will represent the country at the Miss Universe 2014 finals in Fortaleza (Brazil) next September. 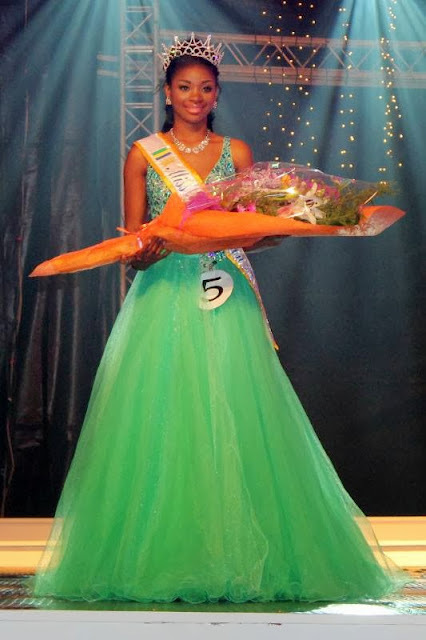 Meanwhile, 24-year old Pulcherie Nze Nzoughe was crowned Miss World Gabon 2014. She stands 1.70 m tall and will compete in the 2014 Miss World Finals next November in London, England. The remaining finalists were Marilyne Nfono, Lisa Malamba and Helda Mathas. They will represent Gabon in several international pageants like Miss International, Miss Supranational and Miss Grand International. 18 contestants competed in the 3rd edition of the Miss Gabon Beauty pageant, organized by Madame Malika Bongo. Gracing the event as guest was the reigning Miss Supranational 2013, Mutya Johanna Datul from the Philippines.